Planning a warm getaway? Looking ahead to summer? We're dreaming of warmer weather ahead so we're focusing on sandals made in the USA. 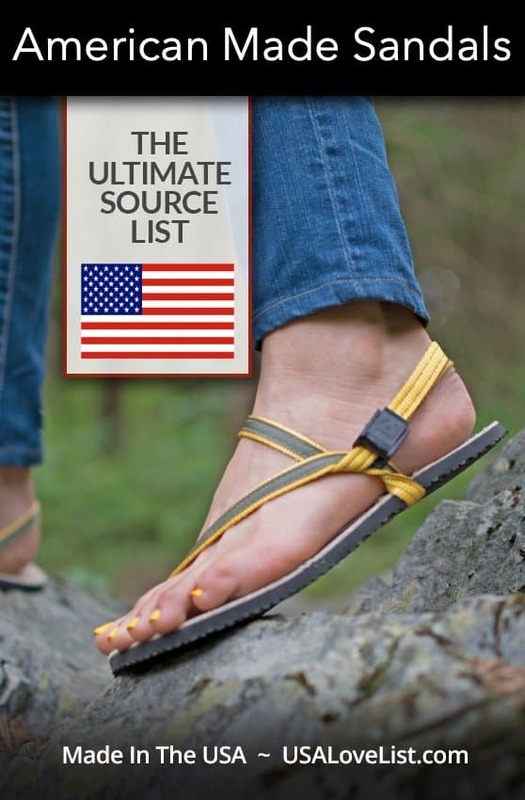 Here's our source list for American made flip flops, sports sandals, dressy and stylish sandals too. 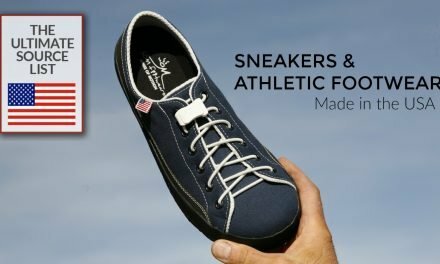 The U.S. imports 97% of its footwear, so it can be difficult to find American made shoes, but hopefully you've seen our American Made Shoes: The Ultimate Source List. Earth Runners sandals are Eco-engineered minimalist earthing sandals. What are earthing sandals you ask? Earth Runners honor the feet as the body's natural connection to the Earth by utilizing minimalist Vibram® soles, Earth Grip footbed & a grounded conductive lacing system ™to offer the ultimate minimalist sandal experience. Inspired by the ancient Tarahumara huarache sandals, Earth Runners' unisex design combines the barefoot benefits of earthing shoes with the functionality of minimalist running sandals to offer the closest thing to truly barefoot running. These American-made sandals are perfect for all of your outdoor adventures. This list is always growing, so check back often. If you have a favorite American made sandal or flip flop brand that you don't see on our list, let us know in the comments and we will add it. Chaco sandals and flip-flops are made for the trail, water, and anything in between. What I love about them is that I can walk in them all day and feel supported and comfortable. Lucky for us, the custom pair of Chaco's are assembled in the USA – the other styles are not. Order your custom pair online – you pick the color of the sole, the pattern and style of the straps, and even other same details including the color of the stitching. Chaco is making the custom pairs to celebrate its 25th anniversary and each pair is made in Rockland, Michigan. Gurkee's rope sandals are made in West Virginia. They offer an array of colors and styles. Earth Runners Sandals makes eco-engineered Earthing Adventure Sandals, made in California. Learn more about Earth Runners sandals at the top of this post. Island Slippers produces more than 80 styles for women and men, all featuring comfort and durability in looks that range from flip-flops to fashion. All its sandals are made in Hawaii. Kino Sandals are handmade using natural leather straps and natural rubber soles. They are assembled and glued at the company's factory in Key West, Florida. LUNA Sandals minimalist sandals for women, men, and kids are made in Seattle, Washington. mohop is an eco-friendly footwear company specializing in interchangeable sandals that allow nearly infinite design options with just one pair of soles. One-of-a-kind, custom-fit sandals can easily be created by simply lacing any ribbon or fabric tie in Mohop’s patented sole. Mohop also manufactures faux leather and faux suede fashion sandals, all made in Illinois. myAnatech I really love these made in USA sandals! They are unbelievably comfortable. I have the Huda sandals and have worn them on an hour-long walk without having my feet hurt. The sandals are supportive and still stylish enough to wear with any outfit. Made in California. OKAb sandals, flip-flops and slip-ons are designed and manufactured just outside metro Atlanta in Buford, Georgia. Offering signature styles for women, men and children, OKA b. shoes are available at specialty retailers, spas, resorts and boutiques nationwide. Okabashi made in USA flip flops are 100% recyclable, vegan, and designed with superior foot support and a massaging insole. 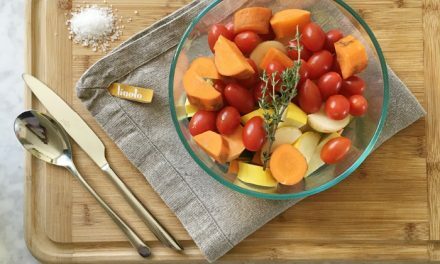 They are anti-microbial and dishwasher safe. These flip flops are available in several styles & colors and are made in Georgia. The Sbicca Brand was originally founded by the Sbicca family in their home in Philadelphia. The family began producing footwear in the USA in 1920 and moved their thriving business to California following World War II. Please Note: Not all Sbicca sandals are American made, read labels and descriptions carefully! Telic sandals and flip flops are described as “recovery sandals” that absorb shock and bounce back. Molded, colorful, available in a variety of styles for men and women, this Idaho based company uses two family-owned American manufacturing facilities. Slides and Croc-style clogs/mules are also available. To make your American made shoes even comfier, try Piggy Pillows' flip flop insoles or American-made soft gel foot cushions from Body and Sole Comfort. Nordstrom You can easily find all of the made in USA sandals offered by Nordstrom.com. We did the search for you. Go ahead and click that link to see what we mean. Zappos For dressier, stylish American made sandals and wedges, always check Zappos. This link will deliver all of their Made in USA sandals. They have a fantastic selection of brands we love like Onex, Sbicca, Munro, and more. Click it and try it, but always check the product details before ordering when searching this way. Disclosure: This is a sponsored post which USA Love List is proud to share with you because, sponsored or not, we only share stuff we love. Cover photo courtesy of Earth Runners, American made sandals. 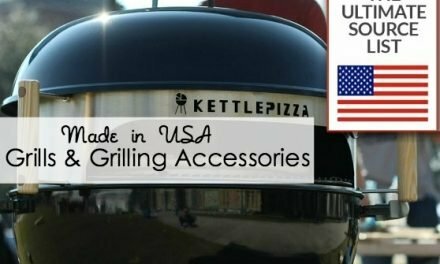 Gurkee’s Rope Sandals are 100-percent Made In the USA! The owner moved the manufacturing from Mexico to West Virginia a couple of years ago. Made of the same yarn that goes into carpet, Gurkee’s Rope Sandals are so lightweight wearing them is like going barefoot. They’re machine-washable and available in six styles and many colors. I need an arch support in my flip flops, like the Sketchers ones. Can I find anything like that American made??? [above] OLA sandals are super comfortable flip flops, with arch support, made in California. They are lightweight and flexible, made from PolyEcoPro. You can even send in your old flip flops to be recycled. Check out the fun and fresh colors they offer. Not only are these flip flops great, the company donates 5% of all profits from OLA towards Heel The Bay to help preserve our ocean, rivers and the ecosystem. I’m with Molly B – I have plantar fasciitis and super-high arches so I can only wear high arch support…was wearing Moszkito until they (apparently) went out of business, have switched to Vionics Orthaheel but I would LOVE to wear USA-made! 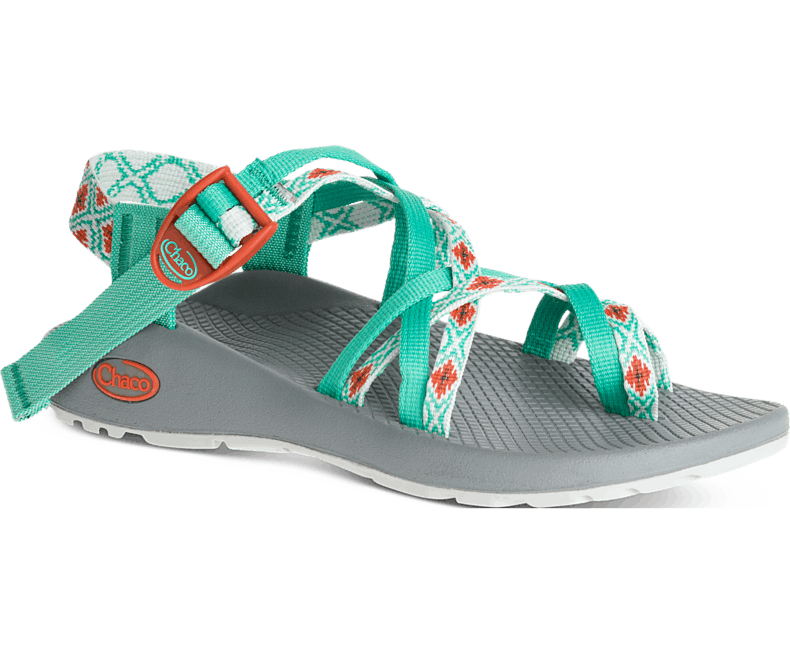 Chaco has a line of sandals and flipflops that are made in the USA–and made to order! Fantastic arch support! I love that they are made in the USA – I especially think the Sbicca are cute! I have two pairs of Okabashi flip flops. LOVE that they will recycle them! I had no idea that we imported that much of our shoe inventory! Because my feet are pretty deformed due to arthritis and lupus, it can be very hard for me to find shoes that fit, period. I have to wear a closed toe sandal, no heel, which makes it close to impossible to find shoes that fit, that I can also afford. But I will check into these companies that you listed and keep my fingers crossed. Scandic Footwear Clogs, perhaps the best clogs in the world, are made in New Hampshire. All of these sandals look wonderful. I think I would really like to try the OLA sandals flip flops. I love the colors and they look so comfortable. Love love love <3 these Made in USA sandals. I am a big sandal wearer so thanks for this review. Great companies featured. Don’t forget SAS in San Antonio, Texas. Great styles and really comfortable shoes. Most of their styles are made in the USA, and those that are not are made in Italy, where they have another factory. Informative read, the Okabashi flip flops look great! I had no idea that Zappos let user search specifically for products made in the US – that’s fantastic! My niece just lives in flip flops, lol. I got her a pair of the Telics & she really likes them. She also has some Oofos; are they American made? I thought they were. I buy often at Zappos ….it’s very nice to have a filter for American made shoes. Thanks! Our company, Tidal New York, manufactures flip flops out of our factory in New Rochelle, NY. We mold them out of soft, durable polyurethane rather than sheet-cutting out of EVA, like most. They also feature some arch support! I got Telic Sandals for my niece & she really likes them. Flip Flops are are Summer staple in footwear, lol. Chacos are made in Rockford, Michigan by Wolverine Worldwide. I’m so much love in flip-flop sandals in summer.Having a pair of good sandals is always important.All of these sandals look wonderful. Gurkee’s rope sandals that are made in West Virginia are unique and seem so well made. I would love a pair like these for the summer. I love these and being American made I know that they will last a long time. Not ALL Telic flip flops are made here in the USA any longer. 25% is made in China. How long before they move all of the production overseas? I have always wanted to try the Telic sandals. I especially like that they absorb shock and bounce back.